What do you leave out when you only have 30 seconds to explain your research? That was the challenge facing Laura and our other researchers recently in the context of our upcoming project videos. In this post, Laura explains some of her more painful editorial decisions. Philippa of Hainault and Edward III were married at York Minster in January 1328. They went on to enjoy one of the happiest royal marriages in medieval Europe. Yet their union originated as a matter of political convenience, even desperation. While estranged from her husband, Edward II, and seeking refuge on the continent, the current queen of England, Isabella of France, traded her son’s marriage in return for military aid and support from Philippa’s father, Count William the Good of Hainault, Holland and Zeeland. The queen’s coup was a triumphant success: Edward II was deposed and imprisoned (conveniently dying nine months later) and her son was crowned as Edward III on February 1327. Philippa of Hainault arrived in England to marry the new king in December 1327, barely a week after the funeral of her murdered father-in-law, Edward II. Aged anywhere between ten and fifteen years old, she found herself entering a political and family quagmire. Her new husband turned out to be a powerless figurehead, while real power in the regency government remained in the hands of Philippa’s mother-in-law, Isabella of France, and her possible paramour, Roger Mortimer. 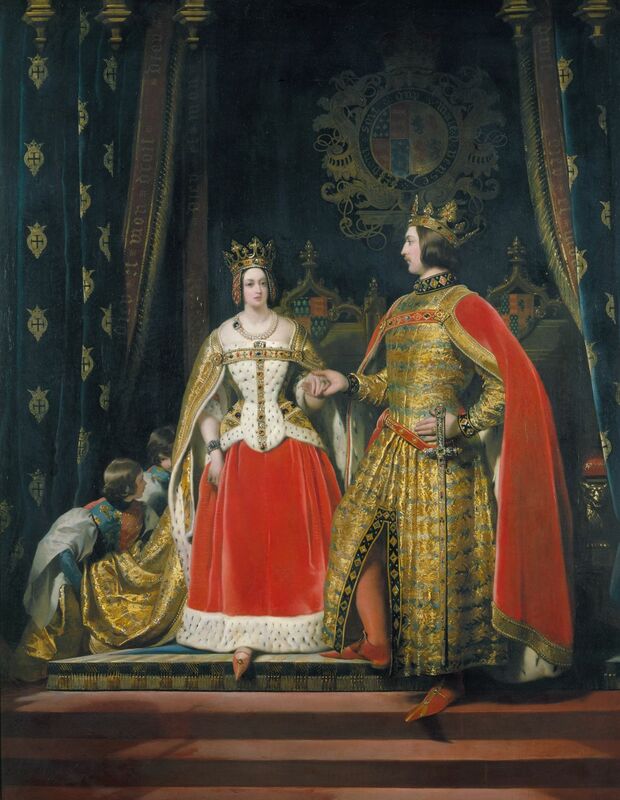 On the very day of Edward’s coronation, Isabella awarded herself a truly enormous dower: so great, one chronicler sniped, that barely one third of the realm remained for her son. Philippa’s official, public role as queen turned out to be uniquely diminished. The royal marriage was celebrated with pomp and magnificence, but no coronation followed until 1330. Nor did Philippa receive any dower. In May 1328, as the regency government negotiated an unpopular truce with the Scots, the king enrolled on the patent rolls a public promise ‘to assign lands for the dowry of Queen Philippa within a year’. Almost a year later, in April 1329, Philippa was granted an annuity of a thousand marks a year towards the expenses of her chamber, ‘until some provision be made for her estate’, the government records note rather desperately. The problem, of course, was that Edward III could do little about his mother’s continued monopoly on the power, position and resources of the English queen. This is the context in which I am exploring one of the manuscripts owned by Philippa. But it is difficult to try and outline such a complex web of political problems and family dysfunction in half a minute’s worth of time. Hard choices had to be made, about what to say and what to leave out. And this meant glossing over some of those all-important, pedantic academic details. an important dimension of the MALMECC project is how we are examining kingdoms that didn’t become nation states in their own right, and so thinking about the court from a transnational perspective. One problem is explaining where Philippa is actually from. 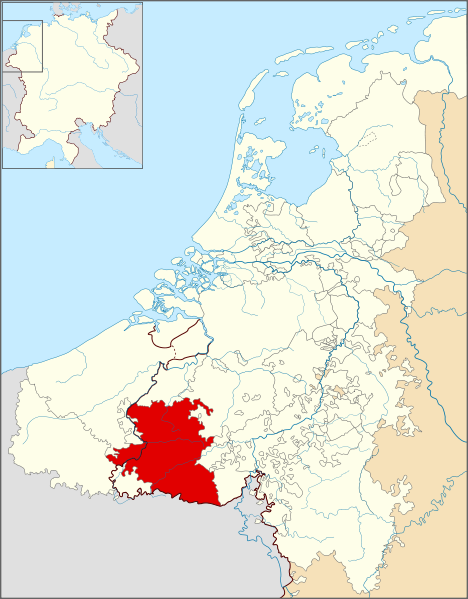 Her father’s territories covered parts of what is today northern France, Belgium and the Netherlands. Its key capital cities were Valenciennes (today in France) and Mons (today in Belgium). I ended up saying that Philippa was from ‘the Low Countries’: it’s just about accurate, but it doesn’t really explain much. Yet an important dimension of the MALMECC project is how we are examining kingdoms that didn’t become nation states in their own right, and so thinking about the court from a transnational perspective. Another difficulty was explaining Philippa’s isolation in her early years in England. With only thirty seconds, it was impossible to start discussing her expenses and landed estate (or lack thereof). So I had to use a shortcut. As a way of communicating Philippa’s difficulties, I tried to outline her predicament as follows: ‘You’re on your own. You don’t speak English. And you turn out to have the mother-in-law from hell.’ We can all relate to being in a new and difficult family environment, perhaps with hostile relatives. And we can also understand how isolated and lonely it is to live somewhere where you don’t speak the language well. But while my script might communicate Philippa’s situation in thirty seconds, it is also simplifying more complex medieval realities. Philippa certainly didn’t speak any English when she first arrived. Yet in early fourteenth-century England, this would not have mattered in the slightest! Throughout much of English society, French was still a widely used vernacular. For the royal family and aristocracy, French was spoken as a matter of course: it was the lingua franca (pun intended) of elite life, especially for the laity. Although it’s likely that Philippa did pick up some English during her long life in the kingdom, we don’t actually know if she ever learned the language. So in the difficult years 1327-1330, learning English would have been the least of Philippa’s concerns, living as she did in a French-speaking court. Yet my video suggests that Philippa’s lack of English was a real problem. It’s an unfortunate compromise, but I hope the wider problem, that of the early challenges of Philippa’s married life, still comes across, especially to a non-academic audience. We can’t share any material from our videos yet, but we are really looking forward to sharing them with you soon!